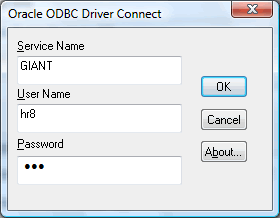 If you have selected to add a new ODBC Data Source Name (DNS), a Create New Data Source dialog will appear. 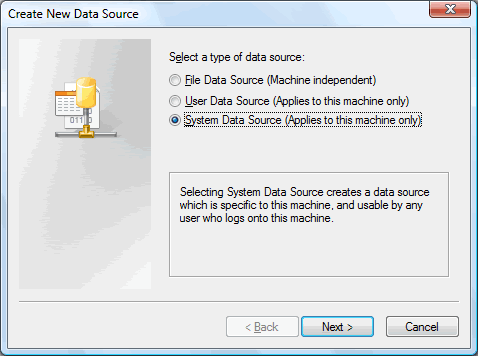 For import purposes select either User Data Source or System Data Source option. With the former you will create a data source usable only by you at the computer you are currently using, with the latter — a data source usable by all users of this computer. Next specify a basic driver for your data source. 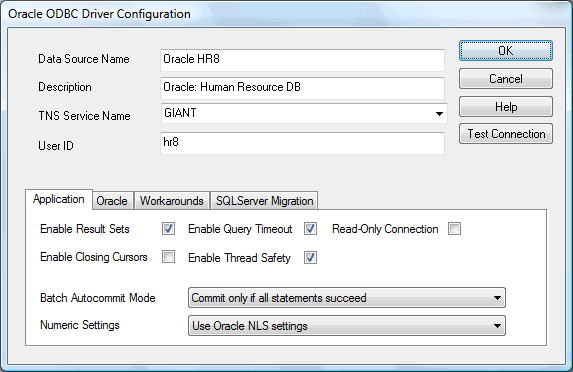 Assume you need to import from and Oracle DB, then select the Oracle driver. Check the data source parameters in the following window and press Finish if they are correct. Some drivers (e.g. 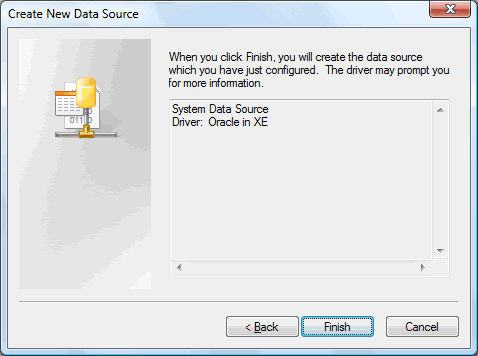 the Oracle one) may need more details for a data source creation; additional windows will automatically appear after you press Finish. 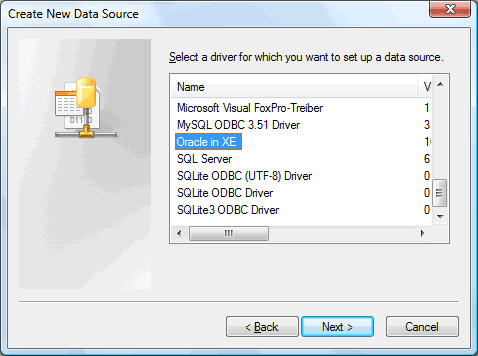 Due to the specifics of Oracle driver, you will have to specify additional parameters for the data source. Define a name for your data source, its description, Oracle TNS service name and user ID (user name) to access the basic Oracle database. At the tabs below you can set other options as necessary. 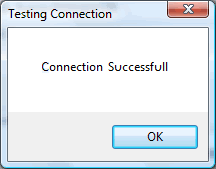 To make sure your connection works you can press the button Test connection on the right. Type the password valid for the specified user ID and press OK to get the result.